One fresh gooseberry off the tree in the garden, that's all we asked for. Just one bloody gooseberry to go into the boil! The frog had one job but just couldn't stop the robin eating it. We had no choice, we had to let him go. 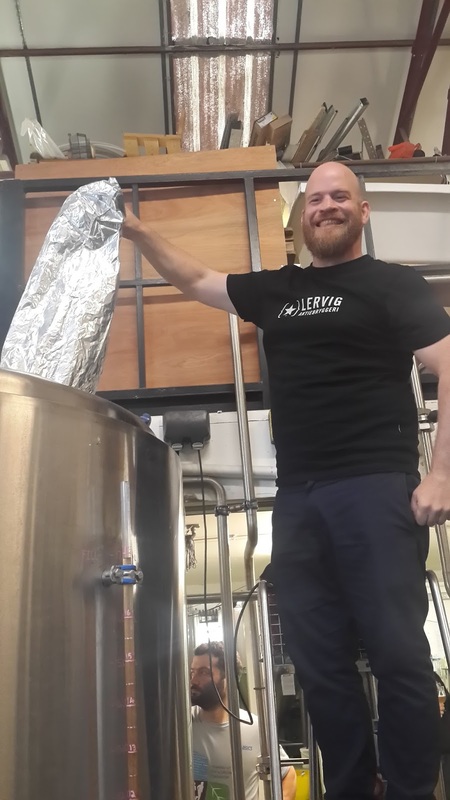 Last year we were approached by the guys at Independent Manchester Beer Festival to brew a collaboration beer with them for the festival. Now this is a festival we all love here at Weird Beard, so jumped at the chance. 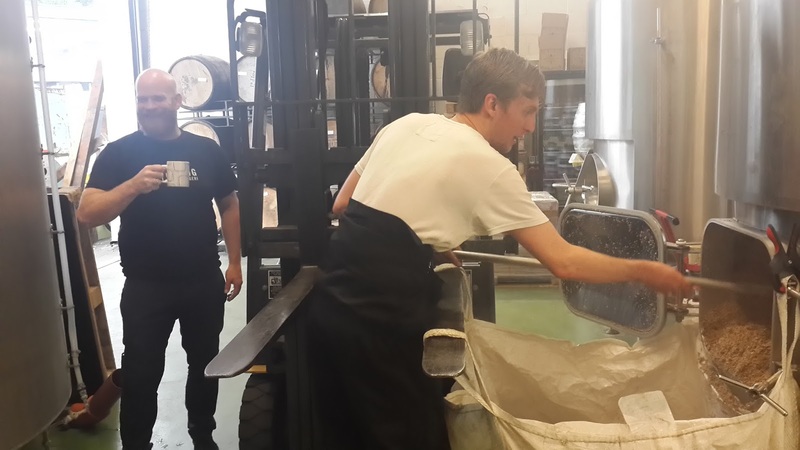 The beer we produced was a black Saison with orange zest called Hacienda. The beer was a great success, with the barrel aged version going down just as well. 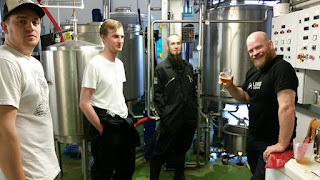 When we were approached approached to brew with them for their 2015 festival, we were more than happy to say yes. Then when they mentioned the guys from the mighty Lervig from Norway would be involved, there was no turning it down. The theme for the year was fruit in beer and between us, over the power of the interweb, we decided on a Gooseberry Pale Ale. 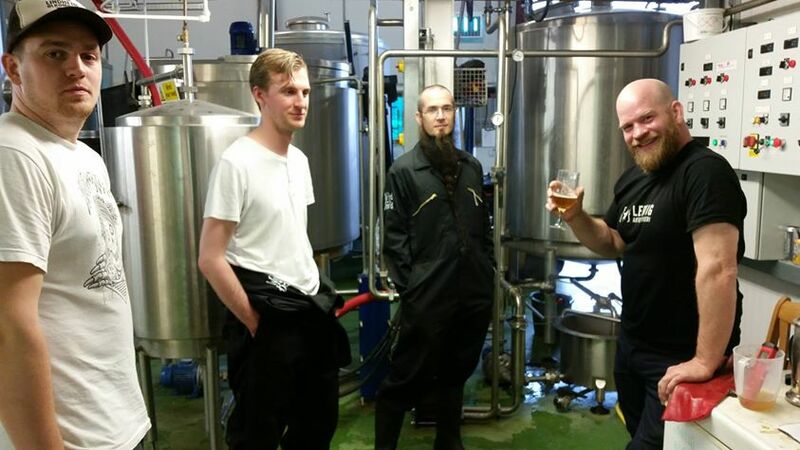 On brewday, the Weird Beard team were in and ready to go nice and early as both the Lervig guys and I had events going on that night for London Beer City. James from IndyMan was a little late, but this is understandable as we are based in the outer reaches of London. We decided to wait a little longer for the Lervig guys, as that is the polite thing to do and we are very English. James and Matt rocked up about 2 hours late, looking a little partied out exclaiming 'you shouldn't have waited for us'. But they did arrive clutching a 5Kg bag of Nelson Sauvin hop pellets, which we can't get our hands on, so all was forgiven. We got the brew under way, talked beer, drank beer and had a really good day. The beer we created is easy-drinking, straw coloured with slight tartness from the gooseberry, complimented with loads of Citra and Nelson Sauvin hops that play perfectly with the fruit. We then added Centennial, because who doesn't like Centennial? This is a perfect beer for enjoying in the sun; shame IMBC is in October. But where did the name come from? Well, when one of our team heard we were brewing a gooseberry beer he got all excited exclaiming he had a gooseberry tree in his garden and we should use some of the fruit from that. A few days later we were informed that that there was just a single gooseberry on the tree, but we thought "what the hell, we'll throw it in the boil anyway". The night before the brew, I sent a reminder to bring our sacred gooseberry in, but got the below email entitled 'The Frog Is Fired'. I could not stop laughing for about an hour, and when talk of a name came up, we couldn't think of a better one. Chris our label guy could not have translated all this into a better label. We had a blast planning, brewing and naming this beer, and we also love drinking it. We hope you guys at IndyMan enjoy it too. 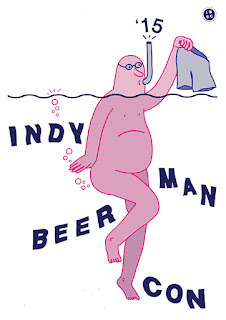 For those not going to IndyMan this year, the beer will be released in bottle, keg and cask the week following the festival.